This piece was written by BOSS Deputy Editor Patrick Durkin, and was published on the Australian Financial Review's website on September 6 2017. The education sector is woefully unprepared for the death of the university degree, Navitas CEO Rod Jones warns. The West Australian rich-lister, whose top 200 company has ridden the international education boom, predicts our sandstone institutions face a tidal wave of change as the workforce shifts and students are empowered with more choice and purchasing power than ever before. "Universities didn't change for 400 years, in the last 20 years there has been more change than in the last 400 and in the last two years there has been more change than the last 20, and technology is forcing that change to become more and more rapid. "I'm of the school that the future of the degree as it exists today hasn't got a long future," Jones tells BOSS. "The world is changing so fast. Who wants to do a four-year degree to find that everything you learnt in the first couple of years, you don't need, or everything you needed to do manually has been replaced by artificial intelligence? I think what we will see are degrees replaced by shorter courses, you will come in for a four-month course, move out into employment but then come back to up-skill or re-skill and we will see more people move in and out of the system," he says. Vice-chancellors and educators around the country should take note. Jones has a track record for spotting future trends. The business Jones has built, which makes a $1 billion each year largely by providing pathway courses that bridge the gap between high school and university for international students, was founded on his ability to spot the growth potential in that market. 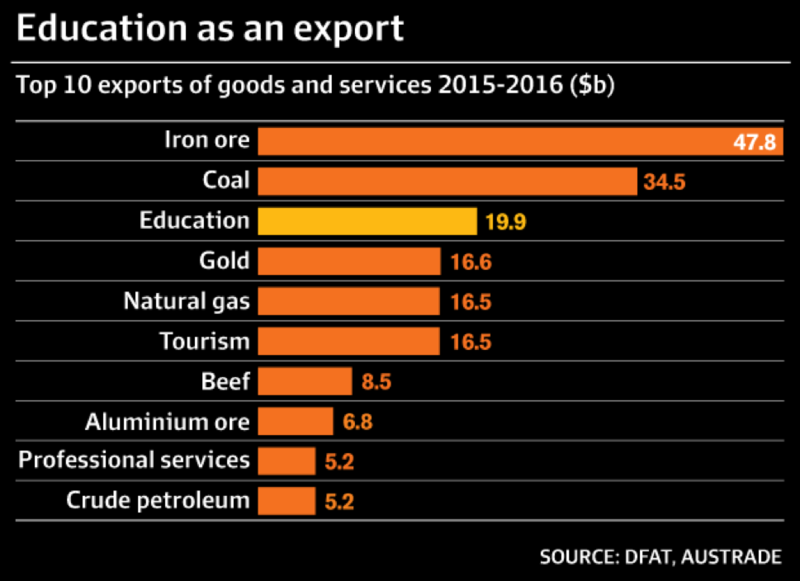 The education sector, which is not often spoken of in the same breath as mining, retail, banks and health, was worth $22.4 billion last year, making international education Australia's third-largest export after iron ore and coal. "Demand for international education is not going to go away," Jones maintains, despite an onset of new challenges caused by the problems in vocational educational and global clampdown on student immigration. 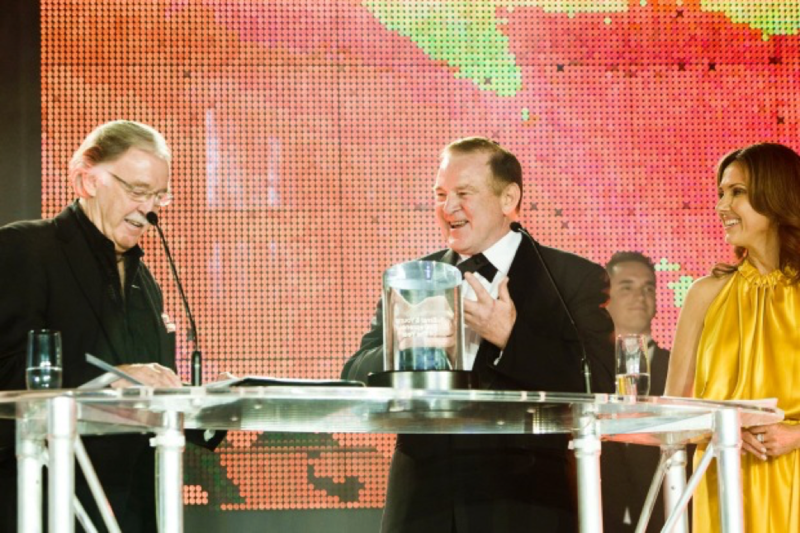 Rod Jones being named Ernst & Young Entrepreneur of the Year in 2008. The down-to-earth billionaire knows the numbers by heart: 5 million international students are expected to grow to 8 million by 2025, with growth of 4 to 5 per cent each year; international students grew by 10 per cent last year, reaching a record high of 554,179. "The most important priority for parents in these developing countries is education," says Jones. "They start saving for their kids from the day they are born." Spotting trends is a common trait among entrepreneurs but Jones didn't think of himself in those terms until after he was named Australia's EY Entrepreneur of the Year in 2008. He met other winners from around the world and is now a major investora in a string of emerging companies, from financial services firm Pioneer Credit to mining minnow Acacia Coal and geospatial imager Spookfish. "The similarities [with entrepreneurs] are incredible, they are passionate and seem to be able to think laterally and can see further than most people can. I've realised not everyone can do that and what was to me completely obvious I would have to bring everyone on a journey. It is really about drive, passion and never say die, all those attributes." 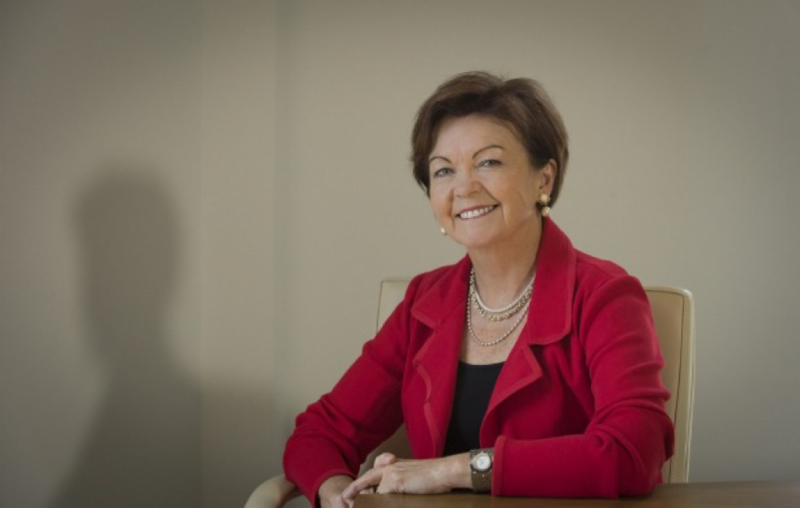 Jones was working for the WA state government education department when Bob Hawke's federal Labor government changed the rules in 1986 to open the gates to full-fee-paying international students. He recognised at once the business opportunity that led to Navitas became Australia's largest private education provider. "It's an extraordinary story," says Deakin's vice-chancellor Jane den Hollander. "Here was an administrator in this far-flung part of the universe and he looks up over the horizon and saw the edge and just grasps this opportunity. He must be counted as one of Australia's most successful entrepreneurs. Jane den Hollander, vice-chancellor of Deakin University: "What he did was give an affordable pathway to those who wouldn't have otherwise had it." "But what he did was give an affordable pathway to those who wouldn't have otherwise had it. Not only are we a better place for it but we are much wealthier," den Hollander says. But like all good stories, there have been more than a few twists and turns. First, Jones lost everything at age 40. Then, in 2004, he faced a monumental task to float the business. More recently, he faced a $38 million hole when his biggest client pulled its business. Now the anti-immigration sentiment flourishing under Brexit and Trump has hampered the company's plans for international growth and the difficulties besetting vocational education. "The vocation industry has been an absolute trainwreck, which could have been seen by anyone two years ago," Jones says. "A whole lot of providers jumped in to take advantage of what they saw as free government money and it got out of control; the government certainly didn't cover itself in glory. 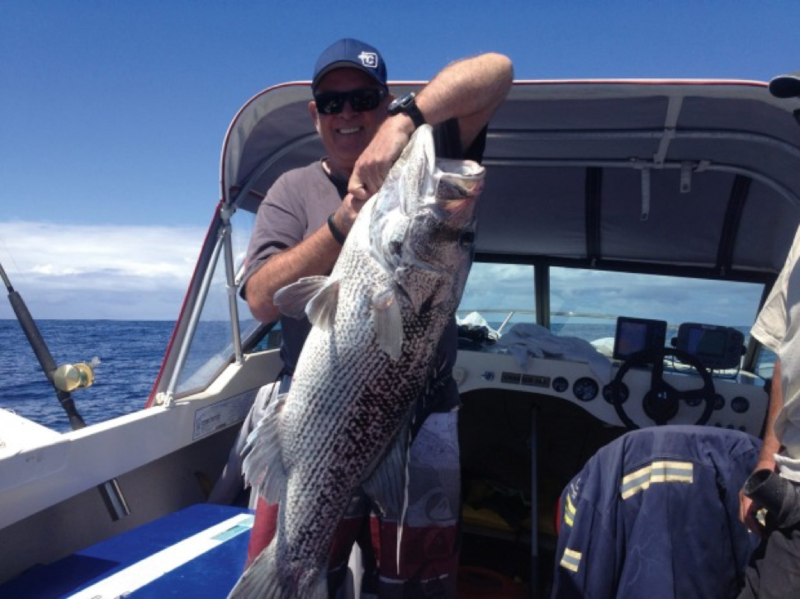 "If you saw him on the beach you would not know he was a multi-millionaire," says Jane den Hollander of keen fisherman Rod Jones. "Now the government is treating everyone as the same: if you are a good provider you aren't able to operate effectively, which is basically unfair." Navitas, which this financial year posted an 11 per cent drop in net profit, has avoided the worst of the crackdown on vocational education but it is feeling the impact of the global anti-immigration sentiment. Growth in the UK has been flat for the past three to four years as the government maintains strict controls on student migration. "It's estimated the UK has lost about £8 billion [$13 billion] with it's controls on students," he says. "There is a groundswell of opposition which is growing stronger every day." The lucrative US market had finally been opening up its colleges to international students for the first time he says, but the rhetoric from Trump has created huge uncertainty and that market has gone backwards. Navitas also has two pathways collages in Canada but faces strong union resistance to private education providers. Locally, the company is still recovering from the chastening experience of losing its longest-standing and biggest client: Sydney's Macquarie University. In 2014, the university decided it would provide the services offered by Navitas itself. This sent the company's share price tumbling by more than 30 per cent. "The loss of the Macquarie contract was the biggest hurdle we hit and that was driven by a group of people who never understood what we did. They thought they could do what we did. I would describe it as a really good case study on how to destroy value for all parties," Jones says. Stephen Schwartz worked with Jones in London, Perth and then Sydney when he was vice-chancellor of Macquarie University. He describes the West Australian as highly dependable and straight as an arrow. 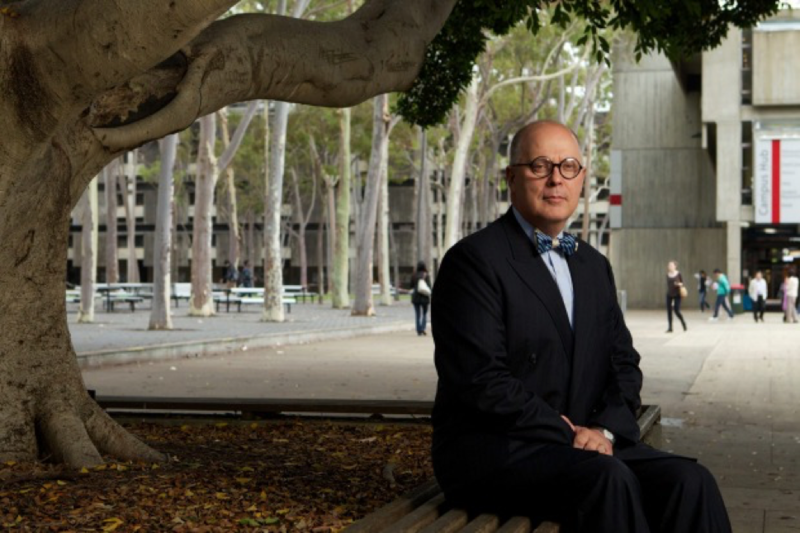 Schwartz, who left the university in 2012, says his successor, Bruce Dowton, wanted to bring the university into line with Australia's top institutions. A 2014 media release explained: "It makes perfect sense to invest in our own pathway college, as many other prestigious universities have done before us." "It's taken a couple of years to get over that hump, that was a $38 million hole. We were able to cover that and hold ourselves flat from an EBITDA perspective," Jones says. This year, Jones has sought to expand the business by launching Navitas Ventures. The idea is to focus on the emerging edutech sector, which has a projected value of $252 billion by 2020. The other pivotal moment in Jones' life was losing everything at the age of 40 and having to start again. It was a setback that forced him to take a risk and launch the business. When Jones was in his 30s he had been the guarantor for a friend's new and used car franchise. When interest rates hit 22 per cent in the late 1987, the business went under. "When the crunch came the bank called on that guarantee and I lost everything," Jones says. "We went down the tube and I went down with it. "We went back to a few sticks of furniture and started again at 40. But the one thing I still had was a job. "I think I lot of people would have stuck their heads between their legs. But one of the strengths I've always had is you can't change what has happened, so you have to focus forward, so I was looking for an opportunity," he says. Jones, a young public servant who had built a reputation working with Malaysian education providers, had been seconded by the WA state education minister to work with the Labor government's trading corporation to assist WA unis and colleges market themselves to overseas students. WA stole a march on the other states to quickly become a serious international player and within two years had attracted 25 per cent of the market. It wasn't long before the entrepreneurial Jones spied his opportunity. "In the early '90s I saw a gap where a lot of international students were failing," Jones says. Seventy per cent were failing one unit and 30-40 per cent were failing their first year. "It was nothing to do with their academic ability. It was really to do with culture, language barriers and transitional arrangements." Jones teamed up with academic Peter Larsen and put together a proposal for Edith Cowan University to run a program to deliver their curriculum more slowly in smaller classes, with English language training to help struggling students make the transition. "It's a half-way house between a disciplinary high school program and the free and easy environment of universities to help these students transition to mainstream universities. We did things like mark the roll because we quickly realised when people are not turning up, it is not because they are lazy, it is because they are not coping." The universities did not throw time or people at the problem, but did have a financial incentive to try and lift the standards of these struggling fee-paying international students. The legal agreement bounced back and forth for months but eventually Jones sealed the deal in 1994. Navitas paid Edith Cowan 30 per cent of the student fees to use its name and curriculum in a revenue-sharing model, which still underpins most of its agreements today. "I had built a high level of trust and they were prepared to give me a go," he says. "The one thing universities are most conscious of is their reputation and image but I knew the people and they trusted me." The model was rolled out to another three Australian centres by 1997 and the first international venture in the UK in 2000. By 2004, Jones had brought a string of companies together and was ready to go public (the company was called IBT Education until 2007). Jones says, "There was no precedent, we were creating it. "It was a fascinating day. It was a $1 stock. I still remember sitting there and it hitting $1.60 and thinking how good is that. Suddenly it hit market at $2.20 then went up to $2.90 and settled at about $2.50, it was amazing stuff. The day we listed we were worth $800 million." When he's not running his global empire, Jones likes to unwind at his country home down the coast near Margaret River. Den Hollander says he blends in perfectly. "He is a fisherman. If you saw him on the beach you would not know he was a multi-millionaire. It is not about the money for him. He doesn't like a lot of airs and graces but he is very courteous and polite. He walks into the room and is always well prepared. "He likes to get the work out of the way so you can have dinner. If he says he will do something and you shake hands, it is done. He tolerates long contracts and legal clauses, but he agrees everything before it is done, he is old-school like that."